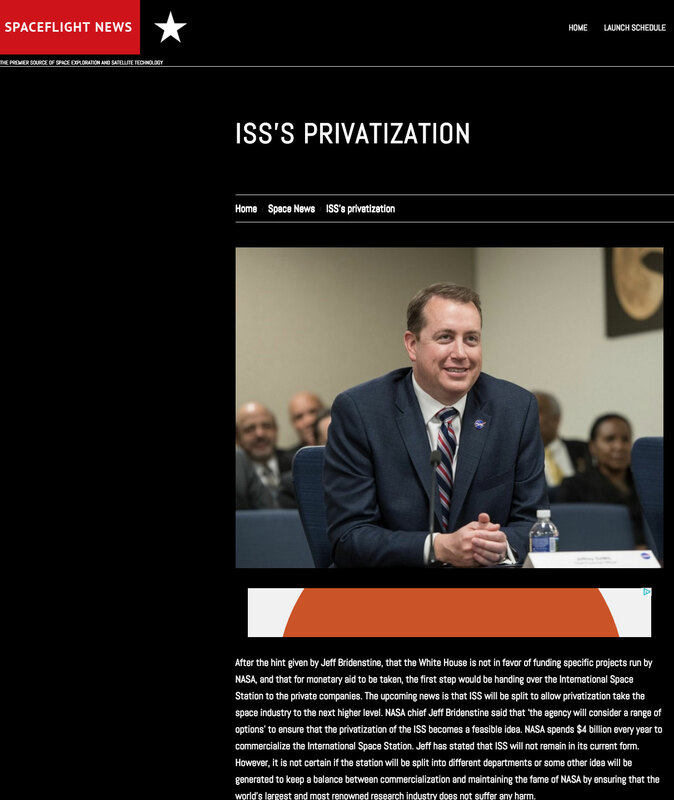 \n\n Keith's note: It has gotten to the point that nearly every picture of NASA Administrator Bridenstine has NASA CFO Jeff DeWit sitting next to him. This photobombing will - and now has - led to confusion as to who is actually running NASA. In 22 years of watching NASA I have never seen such a camera-seeking NASA CFO. 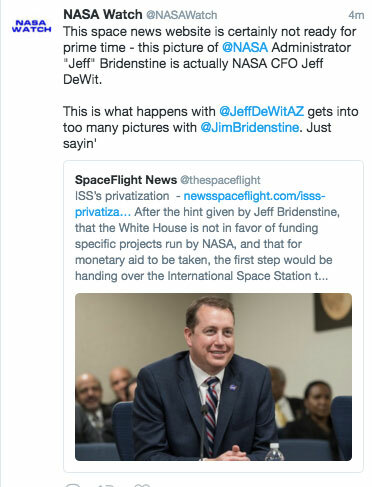 People are just getting to know what Jim Bridenstine looks like and Jeff DeWit is just making that harder for NASA to do. \"Jim\" and \"Jeff\" are often in the same picture. Its understandable that some people would be easily confused. Just sayin'.\n\nJust in case the original tweet gets deleted, this is what the story looked like. And this is what the tweet looked like. This page contains a single entry by Keith Cowing published on June 8, 2018 1:45 PM. Launch Unit Standards for SmallSats Proposed was the previous entry in this blog. Climate Change Deniers Knock Bridenstine For Listening To Actual Scientists is the next entry in this blog.